ON THE ROCKS! HOLLYWOOD IMPROV LAB! OCT 2 @ 7:30! Hello Friends! 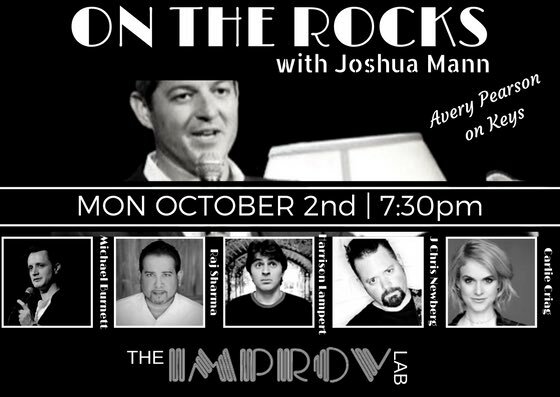 Join us this Monday, Oct 2nd at the Improv Lab @ 7:30! Singing! Stand-up! Decked out in fancy clothes. It will be very high brow. Please join us.